pton Adm^rs of y^e Estate of John Plimpton late of Medf^d dec^d. 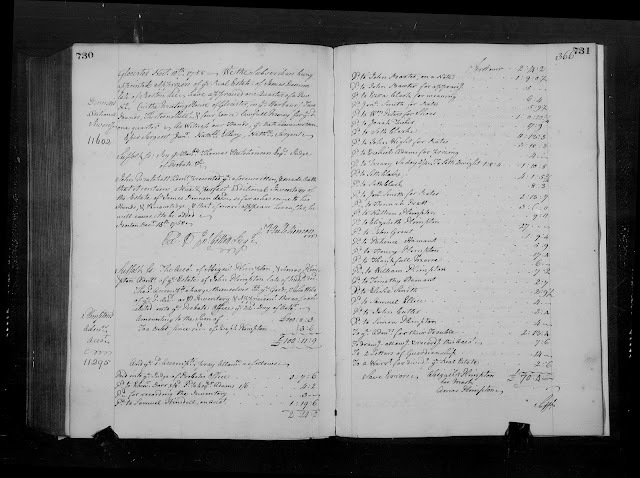 "Suffolk County (Massachusetts) Probate Records, 1636-1899," on 439 FHL US/CAN microfilm reels, FamilySearch (https://familysearch.org), : accessed 19 October 2017),"Probate records v. 52-53 1757-1758," FHL US/CAN film 493,875, Volume 53, pages 730-732 (images 868-869 of 877), John Plimpton account, 1758; citing original records in the Suffolk County, Mass. courthouse. In Part 1, three appraisers were appointed to make a true and just inventory of the estate, which they did on 20 October 1756. The estate was valued by the appraisers at £375 : 4s : 3d. It included real estate valued at £ 264 : 16s. The personal estate was £ 110 : 8s : 3d. In this document, the administrators, widow Abigail Plimpton and son Amos Plimpton, declared their account, which totaled £70 : 4s, on 22 October 1758. This included fees and charges for the probate court documents, notes and money owed to creditors. 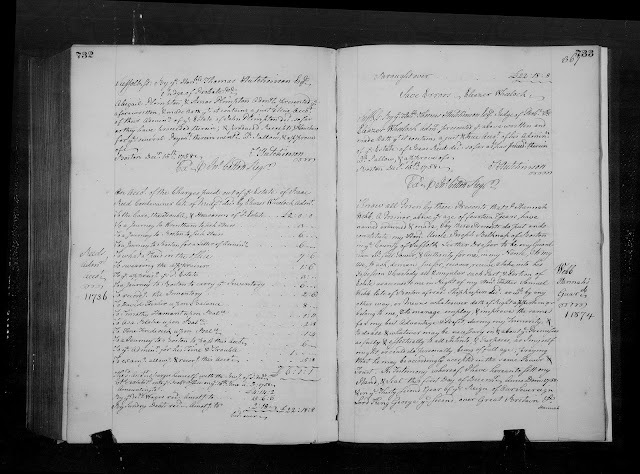 There will be several more posts for this estate records.